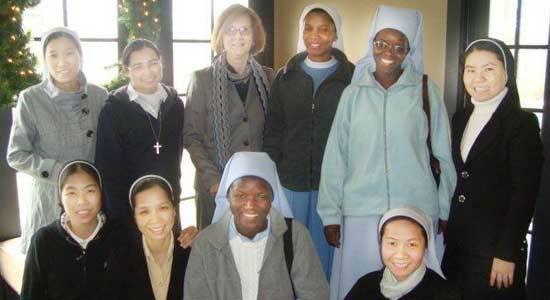 Thank you for considering a contribution to Assumption College for Sisters. Your gift directly supports our mission. To donate using our secure online system, click here. Call our Treasurer at 973-957-0188, ext. 101, to make a donation by phone using your credit card. You may be able to double, or even triple, your gift at no additional cost to you if your employer has a matching gift program. A tribute or memorial donation is a meaningful way to honor someone special in your life while supporting the mission of Assumption College for Sisters. The Annual Fund is an ongoing lifeline to the Sisters and those they educate because it builds a community of benefactors, who understand the College’s mission and are committed to seeing it grow. Your gift to the Endowment Fund helps to ensure the long term financial security of Assumption College for Sisters. Assumption College for Sisters is a non-profit organization with a 501(C)3 status. All gifts are tax deductible.